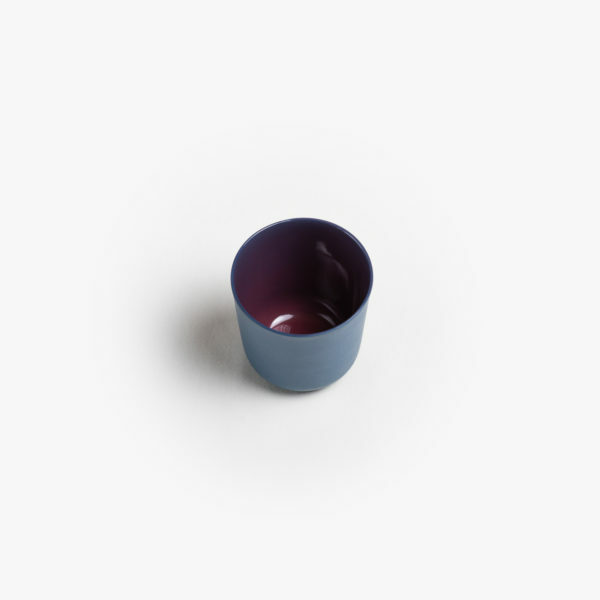 Our basic blue cup with bordeaux glaze is also available in our spring colours. Choose one of the two colour samples on the right to see how the glaze creates a different hue with the blue porcelain. Create your own tableware with your desired colour combinations. 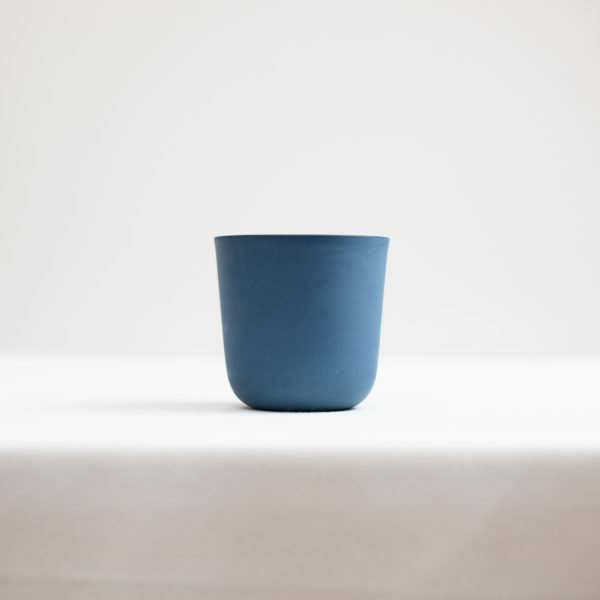 This blue porcelain cup is 8,5 x 8,5 x 8 cm and holds 200 ml.